There is a new 29,600 square foot addition on the West End of Plant 1. 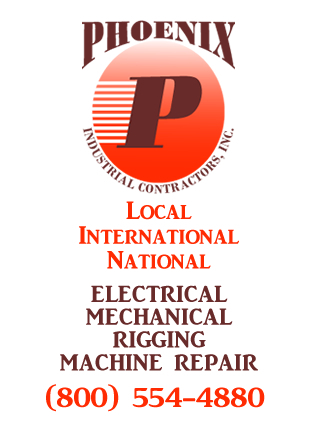 PTM Corporation has invested over $2.7 million dollars into the project which includes a 15 ton bridge crane and a 550 Ton AIDA mechanical press. The Purchase Order was issued on August 4, 2015, and 7 months later IRA Township inspectors approved the occupancy permit for its intended use. The actual dimensions of the addition are 148 feet wide by 200 feet long, and the roof line peaks at 42 feet along the North wall. The structure is designed for future expansion to the North and could potentially be connected to the existing MTI building. The ability to expand is part of a 5 year business plan to grow the metal stamping business. The Advance Engineering Team is in the process of installing robotic welding cells that will be used to build Body in White assemblies for OEM vehicles. Paul Hafer was instrumental in the coordination of this enormous project while coordinating his normal work responsibilities as the General Manager of PTM's Plant 1 Production facility. We celebrate Paul's hard work and efforts to oversee this project to its completion. Congratulations to all contractors for getting this work done without injury. 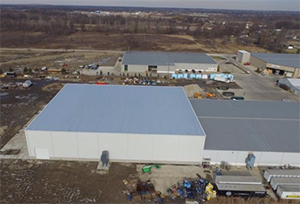 The key contractors on this project were Delta Concrete, Superior Fire Protection, Phoenix Machinery Movers, Mt Clemens Crane, and Detroit Edison.